As much as I would like to, I cannot get excited about the "Saffron Revolution" currently underway in Burma/Myanmar. While I would like nothing more than to see the Chinese backed tyrants of the ruling State Peace and Development Council hanging from lamp posts, I doubt that their replacements would bring much improvement. The Burmese regime has blamed communists for the unrest and in my opinion they are quite correct. The government's New Light of Myanmar newspaper quoted Religious Affairs Minister Brig. Gen. Thura Myint Maung as saying that protests by monks had also spread to cities like Mandalay, Hinthada and Monywa in seven of the country's 14 states and divisions. These agitators included members of the pro-democracy National League of Democracy, led by Aung San Suu Kyi, remnants of the defunct Burmese Communist Party and some foreign radio stations, the minister was quoted as saying. Unfortunately the Burmese Communist Party is not defunct and is there is evidence that it is working with and within the National League of Democracy led by under "house arrest" Nobel Prize winner Aung San Suu Kyi. Suu Kyi has admitted that some of her advisers are “former” members of the CPB. First, in early September 1988 prior to the foundation of the NLD Aung San Suu Kyi was accused of being surrounded by Communists...One observer put it that Buddhism ‘is an invaluable weapon in defending the political system against the attacks of the only hostile ideology capable of posing a serious threat, i.e. communism.’This drove Aung San Suu Kyi, in turn, to emphasize her Buddhist credentials from the start. The accusation of communism was continued by military intelligence in mid September 1988, and later similar accusations were made by Aung Gyi on 3 December of the same year and in 1989. Though Aung San Suu Kyi denied this, stating on two occasions in June 1989 that these members had long renounced their communist views and that the NLD was, in fact, anti-communist, this became a repeated criticism by the SLORC. The accusations were perpetuated in subsequent journalist reports, and have continued right up until today. In general the Burmese regime does not claim that Suu Kyi is a communist, but that she is being used and manipulated by the BCP and her leftist advisors. The anti-regime opposition is fragmented, reflecting both ideological and ethnic differences. The National Council of the Union of Burma (NCUB) is an umbrella group composed of Nobel Peace Prize winner Aung San Suu Kyi's National League for Democracy (NLD), the Member of Parliament Union and the Democratic Alliance of Burma. The latter group is itself a coalition of 24 groups. "The CPB has proposed working together on common issues with the NCUB. Just having a common enemy is not enough, we should have a common programme among the anti-regime forces," Comrade Jacob says. 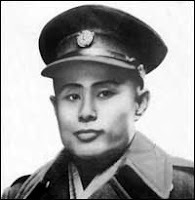 While today, Aung San Su Kyi plays down her family's radical past, Aung San was in fact the first general secretary of the CPB at its foundation congress in 1939. An uncle on her mother's side was a later general secretary of the CPB. Actual party membership is estimated to be no more than around 3,000 at any one time, even though in its heyday the CPB could muster troops in tens of thousands and around a million-strong peasant organisation. The party continues to recruit according to the 'hard to join, easy to quit' principle. Some analysts still consider the CPB a force to be reckoned with in future upheavals and potentially a major challenge to the military regime. Whenever socialists fight socialists, ther's only one thing you can be sure of. Socialists will win-the people will lose. It certainly raises the question if Suu Kyi's "house arrest" is all being controlled by "ex"-members of the Burmese Communist Party who are now members of the ruling junta. Even members of the ruling junta also support Burma's "democratization". Kore take both of you. So Huhana, you're comfortable with "democratic" Burma not forshake the likes of Burma being an appendage for the Moscow-Beijing Axis which would end up being no better than the military junta? It's that quite okay with you? Having the same two powers that had control over Burma through proxy to continue to maiintain control under more "democratic" disguise? No wonder people like you refuse to believe Anatoliy Golitsyn's warnings. Mah (Max the anti Libertarian) do you dream about Anatoliy Golitsyn or something? Do you ever read anything else? No I have better things to do in my life than dream about Anatoliy the ex KGB Russian. Buddhists are not "commies" Max. According to Mah29001 anyone who is not a Zionist is a "commie". Get a life Max. Obviously according to you Mah its OK for Aung San Suu Kyi to be under house arrest in Myanmar for 20 years. Huhana, do you give a damn that Aung San Suu Kyi's father was a founder of the Burmese Communist Party? Apparently, you do not. You simply care of whatever sort of disinformation is coming out from Burma. You spew out lies of how I am a "racist", "homophic", et al and then suggest that you have something that you support "freedom" when you do something like this? Have you read any of the books by Golitsyn, Huhana? Likely not. And yet people like you try to present themselves to be "educated individuals". Face the facts, I am a Zionist, a pure anti-Communist. I am not a Fascist, stop believing in any of that bull. I am not a racist, stop spewing that propaganda. I am not homophobic though I am open to believe that gay groups are exploited for subsersive activities like any other group. And also, do why not look up the wiki page of Suu Kyi's father yourself? You Huhana, like so many other left-wing deniers of Anatoliy Golitsyn's warnings always take evil over good, bitter over sweat, injustice over justice and so on. You do not simply care for the sort of warnings of the evil war to which will be waged. Not by the Western powers such as the U.S. as you are always led to believe. But rather, the likes of the "old" and "dead" Communist bloc with Russia and China at the two heads. Pitty few people like you will ever have the courage to pull yourselves from your ostrich positions. "your ostrich positions." Think this may apply to you Max. PS Why should I read about Anatoliy Golitsyn? PSS Check your blog Mah you don't like Libertarians...Trev is a Libertarian! Knock off the personal attacks Huhana.